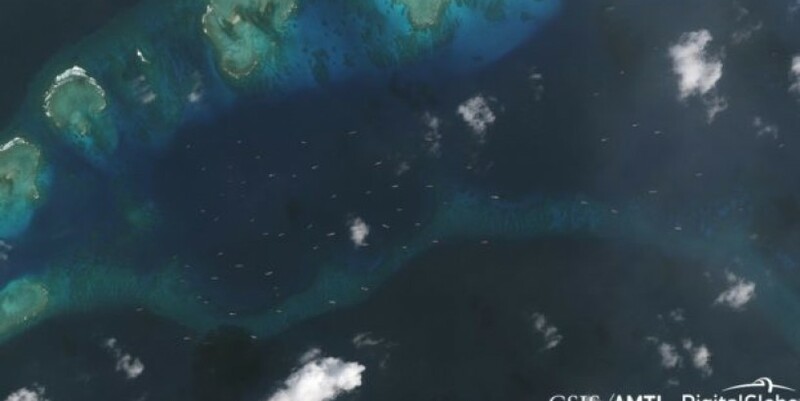 “A handful of Chinese vessels have operated in the area between Subi and Thitu since at least July 2018, likely in response to the initial Philippine effort to start runway repairs last May. But their numbers increased to at least 24 on December 3, just before the current construction operations began,” the Washington-based Asia Maritime Transparency Initiative said in its latest update on Thursday. Once completed, the AMTI said the Philippines will have created 8 acres of land in the Spratlys, as compared to 120 acres by Vietnam and 3,200 by China. Read Next US considers Jolo church blast brains ‘emir’ of IS in PH LATEST STORIES IN PHOTOS: PH Spratlys construction triggers China paramilitary response LOOK: Parokya ni Edgar frontman Chito Miranda turns 43 Tricycle driver dead, 2 passengers hurt in Quezon road mishap DOT eyes 8.2M foreign tourist arrivals in 2019 MOST READ Aubrey Miles turns down social invitations, says scared to go out with baby Rocket LOOK: Arjo Atayde, Maine together in photo posted online Seeking redemption? Enrile says, ‘Judge me’ ‘Notorious’ robbery suspects arrested in Manila Don't miss out on the latest news and information. View comments Subscribe to INQUIRER PLUS to get access to The Philippine Daily Inquirer & other 70+ titles, share up to 5 gadgets, listen to the news, download as early as 4am & share articles on social media. Call 896 6000.